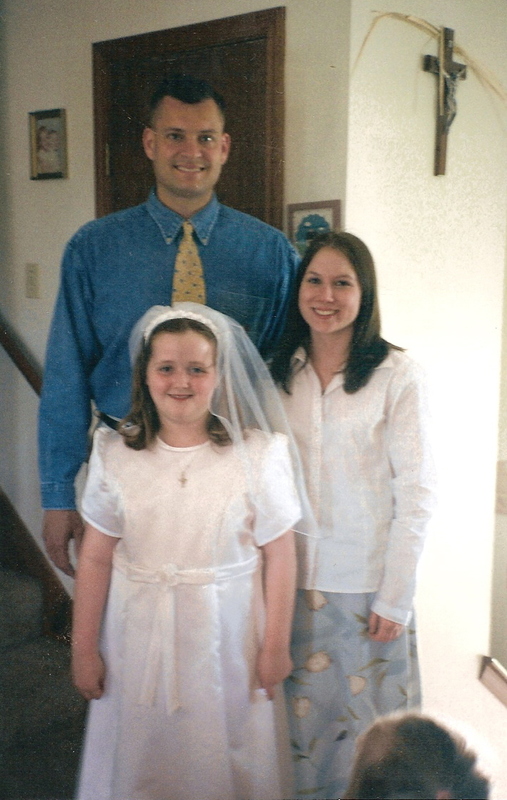 Sunday was my daughter Molly's first communion and it was pretty stressful event. Not just because of the planning or the celebration. We really didn't go out all out and put on a big shing ding. In fact, in typical McAdams procrastination fashion, we waited until the last minute to do everything. We found her dress two days before pictures were taken. We had a reception at my mother-in-law's house with take-out from Olive Garden that we ordered after mass. Heck, we were almost late to mass because I had to run to Target to get my son a new pair of khaki's because we couldn't find his. Okay, maybe some of the stress was from our lack of planning, but the biggest stress was wondering if we are doing everything we need to be doing to fulfill the promises we made at each of our children's baptism. I'm sure it's every parent's worries that they raise their children to grow up to be good people and to have happy families of their own and successful careers. I certainly hope that my kids grow up to be kind and considerate people. I certainly hope they grow up to have long healthy marriages and give me lots of grand kids. Heck---I wouldn't mind having a son as a priest or a daughter as a nun if that is their vocation. Of course I want them to have good jobs and to want for nothing when they get older. I DEFINITELY don't want them to be living in my basement when they are in their 20's. The fact of the matter is that will be a failure as a parent if I haven't everything I can to prepare my kids to know God and know how they are to serve him. I'm a failure if I haven't done everything I can to ensure that my children know that they were made in the image and likeness of God and that He loves them no matter what happens. I fully realize that my kids have free will just like everyone else and are free to grow up and make their own mistakes just like I make my own. I realize that they are responsible for their own actions and in the end--they are responsible for keeping themselves in a state of grace and responsible for ensuring their own salvation. I will be able to help them out when they are adults. I'll be able to bail them out when they get in jams. I'll also be able to be in a position to let them sink so that they can learn from their mistakes. But when it is their time of judgement, they will have to stand in front of God themselves. I can't help them there. Only God can truly see into their hearts. The concern I have is "have I done EVERYTHING I can". Obviously, I make sure have received all of their sacraments. I make sure they go to mass. I've sent them to Catholic school. I try to be a good example. But then I look back and see ways I could have done better. I've been irresponsible and don't always ensure they are reverent at mass. I don't make them go to reconciliation. We aren't a real prayerful family. I've sent them to a Catholic School. I'm not always the best example. I've done better than some parents. I've done worse than some parents. I've been average I guess. I don't want to be average in this category. I want to excel. I want to know--no matter where I end up--that my kids will spend eternity in the presence of God. Do any of you have these same worries? 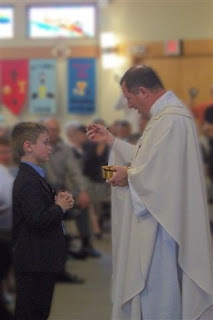 What do you think you do well as a parent as far as raising your kids in the Catholic faith? How do you think you can improve.